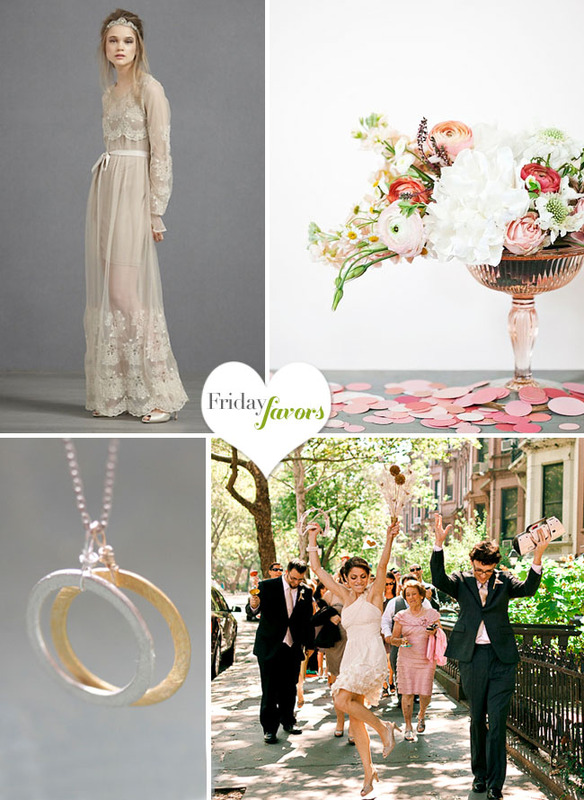 Friday Favors + Our Newest Featured Vendors! • We saw Midnight in Paris last weekend and I can’t stop dreaming of Paris! I especially loved all of Marion Cotillard’s 1920’s dresses – such a beautiful movie + highly recommend it if you haven’t seen it yet. 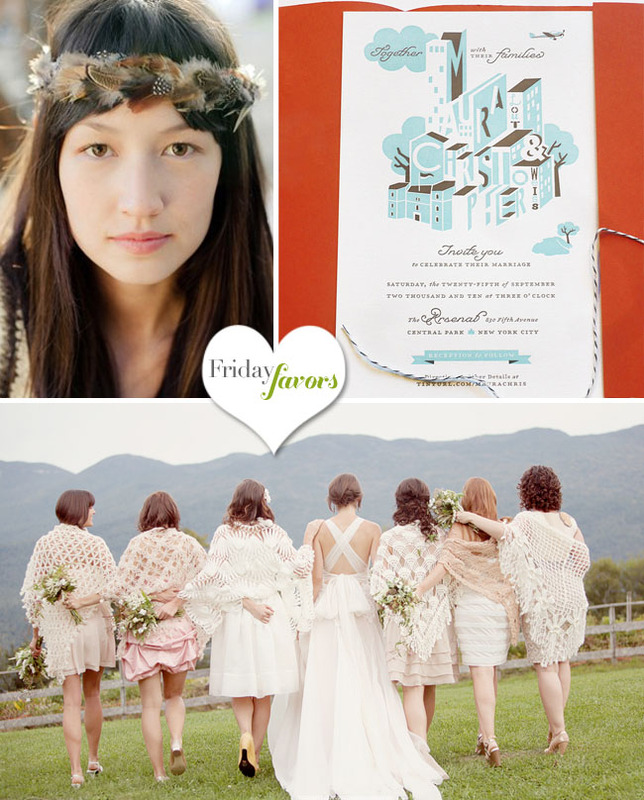 • This invitation suite by MaeMae Paperie with the bride’s illustrations is just the sweetest! And a big welcome to some of our newest Featured Vendors. We are so excited to have you in our guide! • Heavenly Blooms – Jaclyne creates some of the most beautiful flower creations! She is located in Orange County, CA. • Simply Bloom Photography – we’ve featured their work numerous times here and love the moments they capture! 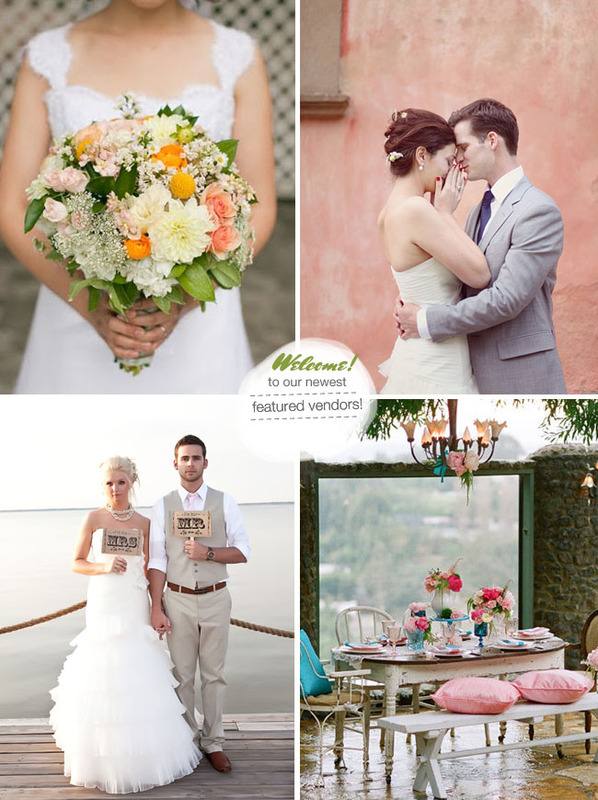 • Archive Vintage Rentals – looking for those perfect vintage touches for your wedding? Check them out – and they ship all over the US! 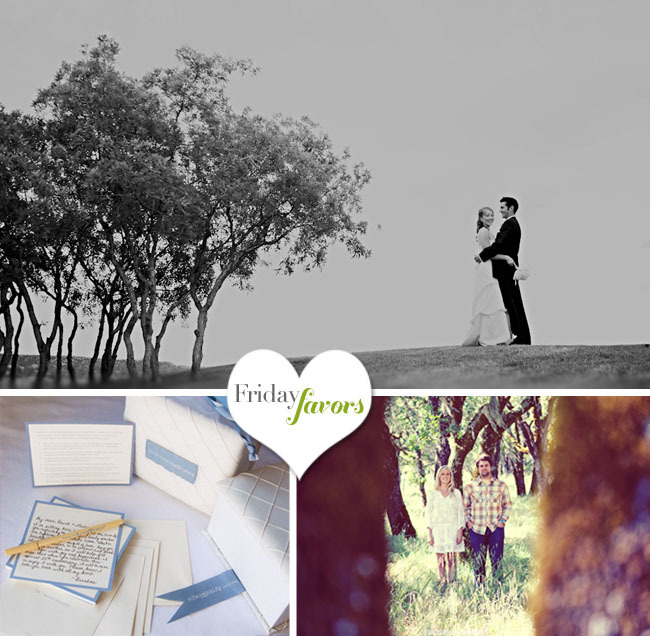 Make sure you check out all our Hand Picked Vendors in our Vendor Guide to find your perfect wedding vendors! 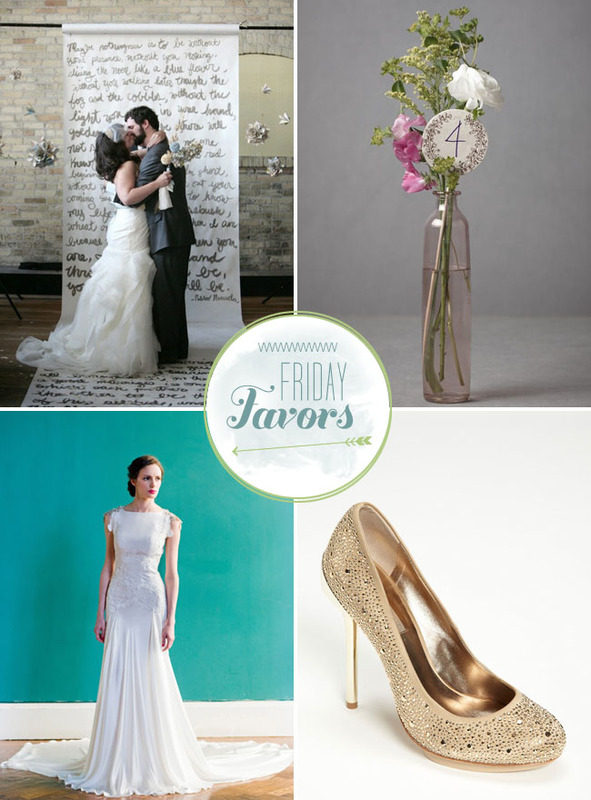 Friday Favors with a Bit of Sparkle! Fantabulous favors Jen! 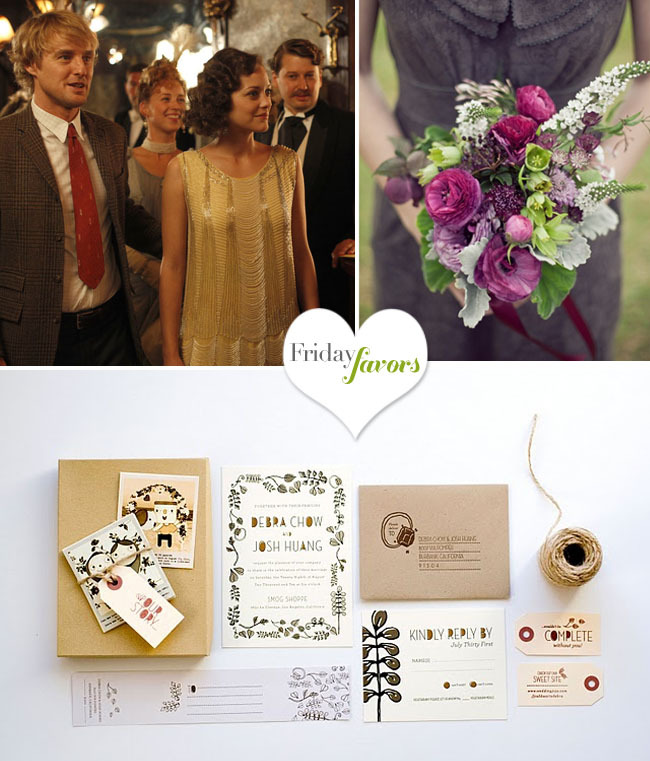 Love those invites and the bouquet! Love, love the vintage rustic table setting. Thanks for sharing! lovely. I am getting married in September and my fiance has been looking for a suit with a vest for a long time now. do you know where this one was purchased? Would love to know!!! Thanks so much. Loved Midnight in Paris as well..the dresses alone! Those invites are super cute too!